Researchers at Brown University poke holes in the Klempner study, which the IDSA uses to justify denying long-term treatment to Lyme patients. A new statistical review calls into question studies that have been taken as proof that antibiotic retreatment for chronic Lyme disease is futile. That misunderstanding has led to medical guidance that discourages retreatment and insurance coverage for it. Instead, the authors of the review suggest, the proper reading of the studies and their data is that they prove nothing. 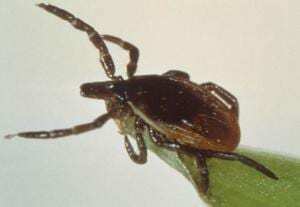 PROVIDENCE, R.I. [Brown University] — Most doctors treat Lyme disease with antibiotics for two to four weeks after diagnosis, but if symptoms persist after that, medical guidelines recommend against antibiotic retreatment. That recommendation may not be warranted. A newly published statistical review of the four studies upon which those guidelines are based reports flaws in design, analysis, and interpretation that call into question the strength of the evidence against retreatment. Allison DeLong, a biostatistician at Brown University’s Center for Statistical Sciences and lead author of the study published online Aug. 19, 2012, in Contemporary Clinical Trials, said the four studies do not prove that retreatment does not work. That questionable interpretation, however, has led doctors to forgo treatment and insurance companies to withhold reimbursement. Evidence in the trials is most often inconclusive, she and three co-authors found. Two studies even found some statistically significant benefits from antibiotics. DeLong has been curious about Lyme disease retreatment for more than a decade since a friend of hers seemed to benefit from therapy. Her friend paid for the treatment out-of-pocket. Statisticians would call that anecdote an “n of 1,” but the example stuck with DeLong as more people, including journalists, began to question whether retreatment really was ineffective. In 2009 and 2010, DeLong and her colleagues decided to look into the matter with full statistical rigor. 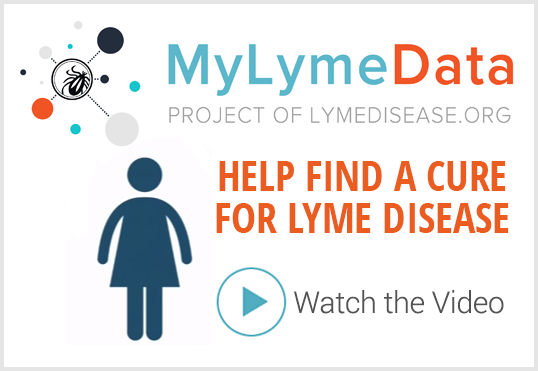 Their analysis started by scanning the medical literature for any randomized clinical trials offering evidence of the efficacy of antibiotic retreatment for Lyme disease. Careful review of more than 100 studies ultimately whittled the field down to the four studies on which the Infectious Diseases Society of America and the American Academy of Neurology are based their guidelines. The most influential studies were conducted by Klempner et al., and published together in the New England Journal of Medicine in 2001. The multicenter trials enrolled chronic Lyme sufferers with positive or negative blood serum results for Immunoglobulin G, an antibody that might indicate active infection. In each of the IgG positive and negative groups, patients either received IV antibiotics followed by oral antibiotics or IV placebo followed by oral placebo. Their symptoms were measured along the way using a subjective set of health quality-of-life measures called the SF-36. Although Klempner et al. found no significant benefit to retreatment, findings from subsequent SF-36 studies in chronic illnesses provide evidence that the Klempner study was looking for unrealistically large differences. “The trials, as designed, called for treatment effects considerably larger than the minimum clinically important differences (MCID) identified in other chronic illnesses, suggesting that the sample sizes were inadequate and the trials were very likely underpowered to detect the true underlying MCIDs,” DeLong and her co-authors wrote in the journal. Klempner’s statistics showed that treatment might or might not have been effective given the broad range of a statistical measure known as the confidence interval, DeLong said. In another of the four trials conducted by Krupp et al., researchers found that retreatment produced a significant benefit for fatigue, but the authors of the study mistakenly discounted that result, DeLong said. The authors became concerned that their results were tainted by too many subjects realizing that they were receiving real treatment instead of the placebo. The measure of fatigue is subjective and could be influenced by that realization. But DeLong found that the subjects weren’t likely to have realized anything. Here’s why: If the members of each group have a blindly optimistic seven in 10 chance of believing that they received real medicine, then the people who really were would be right seven out of 10 times and the people receiving the placebo would only be right 3 out of 10 times. The people receiving the medicine would seem like they had discovered their status, but in reality they were only making a lucky, optimistic guess. While the Krupp study was adequately powered to measure a significant benefit from fatigue, it had less power to measure the two other treatment effects it considered: improvements in cognitive processing and clearance of a potential Lyme disease biomarker, DeLong said. The last of the four studies, by Fallon et al., had a very small sample size. It found hints of some benefits from retreatment but nothing definitive either positively or negatively. Ultimately, DeLong said, the best evidence to support or refute antibiotic retreatment will come when scientists develop a definitive test for active Lyme disease infection. In the interim, it is possible that chronic Lyme disease patients harbor an ongoing infection that antibiotics could treat. In addition to DeLong, the paper’s other authors are statistics graduate student Barbara Blossom of Colorado State University, Dr. Elizabeth Maloney of Wyoming, Minn., and Dr. Steven Phillips of Greenwich Hospital in Connecticut. LYMEPOLICYWONK: New Study Reveals Fatal Flaws in NIH Klempner Trial Statistical Analysis. Is this Error Human, Incompetence or Worse? 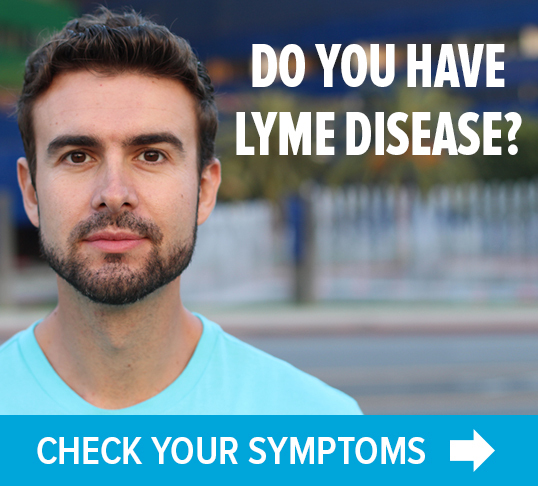 LYMEPOLICYWONK: Was this important Lyme study hidden for 12 years? Yes we were misdiagnosed and misled like so many others for over a year after being bitten by arthropods off birds in a communal bed. Cut a long story short, once we were self researched and educated on Borrelia and co-infections and then found an LLMD who prescribed appropriate and adequate antibiotic and detox treatment. Once we stopped wasting our time on illiterate and antiquated Doctors and realised the huge involvement that birds have in harbouring Borrelia and co-infections and all of the vectors of these diseases and we stopped being brainwashed by the myth that one has to have seen a Deer or a huge blood engorged tick attached to them for days to get infected with Borrelia, we began to heal. We treated our skin for the infestation that were actually there, as these birds had left us infested with all of the stages of ticks, including the larvae and nymphs which cannot be seen, even though they infest and feed in multiples, while at the same time vectoring us with these infections, as well as the mites and lice which gave us the co-infections such as Rickettsia and Borrelia recurrentist, which are contagious from human to human, this stage of the disease was being dangerously mis-diagnosed as DOP by the quacks here in Australia. In the meantime we infected the rest of our immediate family because we were told there was no such human to human contagion issues, just another deadly myth put out by those responsible and who make money from our suffering. Once we took an 8 month course of a cocktail of antibiotics including all the relevant cyst busters etc, my husband intense pain stopped fairly quickly but it took 8 months of this for our intense fatigue, brian fog as well as my fibrioids and cysts that accumulated in and on my uterus and ovaries and caused, what was being diagnosed as Chrones and IBS, to disintergrate and leave my body. Yes I watched this leave my body through menstrual cycles once I started the appropriate treatment and now do not have the, wishing I was dead pain and problems that the Borrelia infections caused me 10 plus days out of every month, etc. If I had not looked into this myself, forced to as my husband was dying but being refused relevant, adequate or beneficial treatment, he would be either dead or at the very least in a wheel chair still in agony with barely no right leg left from atrophy, or on a quacks prescription of drugs for pain and psychological issues for what little time they would have left him. And I would still be in pain 10 days a month plus, not being able to eat most foods etc, with no quality of life, plus we would have a more advanced stage of chronic Lyme disease. I was being told by these Doctors that becasue I was over 30, I should just expect to be suffering as horrendously as I was with an accumulation of fibroids and cysts that were not there before I was vectored with Borrelia infections. I would like to thank, from the bottom of my heart, people like Allison DeLong, ILADS and the many others, including the Doctors who go out on a limb to do what they took an oath to do, even when the going gets tough. You are the ones who are changing the course of this inhumane maltreatment and torture, that one would not believe human beings were capable of doing to other human beings, due to them creating, perpetuating and allowing this diabolical treatment of humankind to continue. Leading to nothing less than genocide, not only for us but our innocent beautiful little children who continually suffer and who have had their youth, health and quality of life stolen from them. Thank you, what goes around come around and your children will be so proud of your legacy.